Tony always loved team sports. 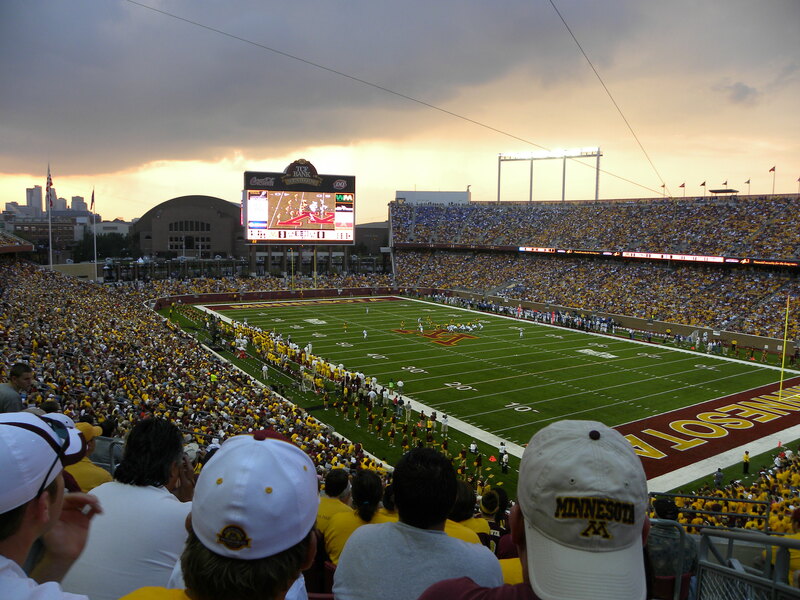 In his teens he focused on football, and at the University of Minnesota he distinguished himself as a talented quarterback. But no pro team picked him up after graduation in 1977. He finally signed on with the Pittsburgh Steelers as a free agent. Over the next three years he played for three different teams. His career seemed to be going nowhere. And at the end of that third year Tony anticipated transitioning from football to something else. But his alma mater drafted him as assistant coach for their team. And the following year he was offered the same position with the Pittsburgh Steelers. Over the next fifteen years, Tony held two different coaching positions with two more teams before becoming head coach for Tampa Bay. 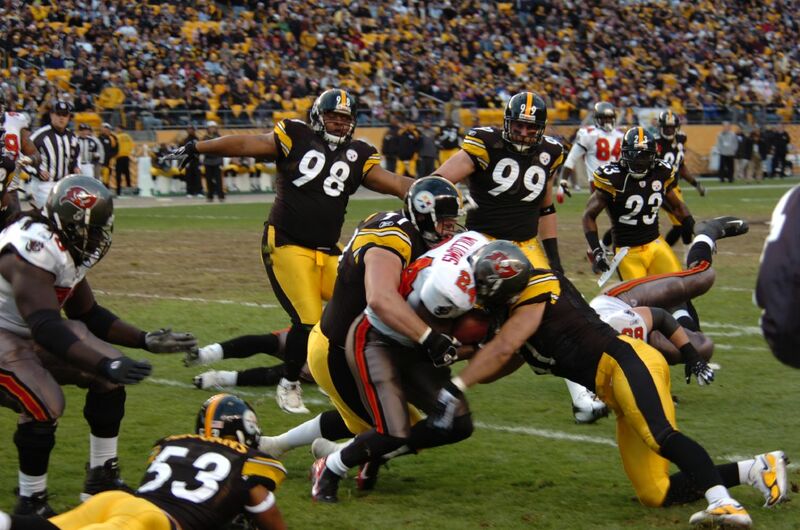 The Buccaneers did well for five years, making it to the playoffs three years in a row, 1998-2000. But the fifth year did not go well, and Tony was fired. Within days Tony’s question was answered. The Indianapolis Colts offered him the position of head coach. And in 2007 they won the Super Bowl. 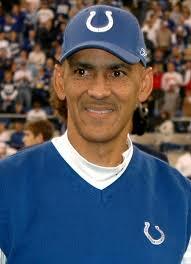 Tony Dungy became the first African-American coach to achieve that distinction. 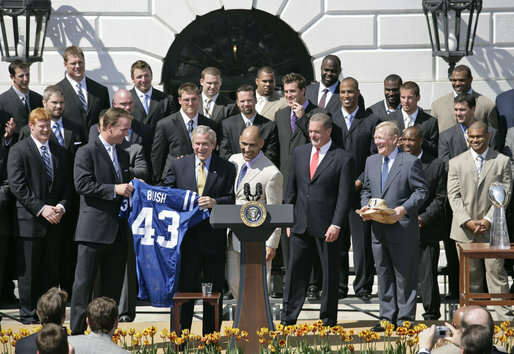 Then-President George W. Bush receives an honorary jersey from the Super Bowl champs of 2007. 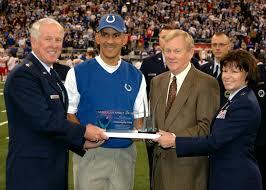 Quarterback Peyton Manning is to the president’s right, Tony Dungy is to the left. It certainly hadn’t come easy. But after thirty years of ups and downs and hard work, Tony had finally achieved a long-held dream. 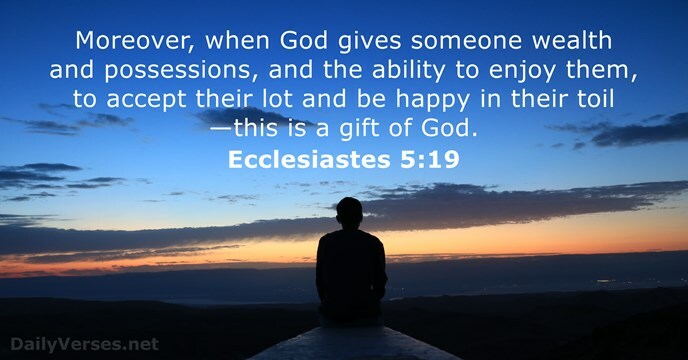 However, there is much more to that proverb than success in one’s work, as valuable as that is (Ecclesiastes 5:19). And there’s much more to Tony’s story than a struggling football player who became a successful coach. Tony is a Christian. And while he taught and trained athletes all those years, Tony was diligently applying himself to desires of eternal value. 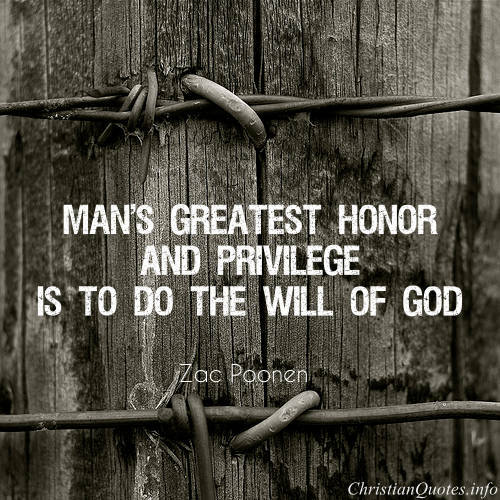 He always felt that Christian principles were more important than everything else. Whatever position he held, Tony kept his faith at the forefront. Proof of that statement lies in the choices he’s made—on the field as a calm, self-disciplined coach and off the field as a dedicated servant of God. 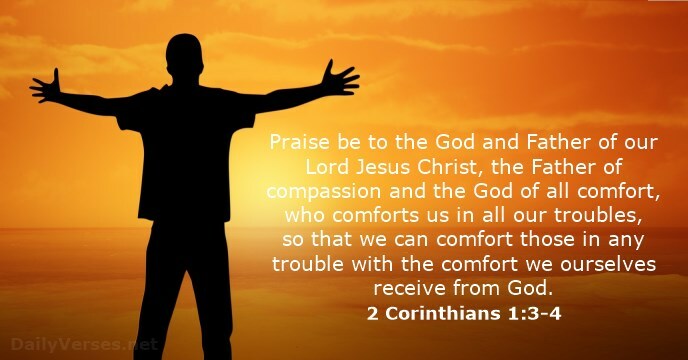 He’s been the national spokesman for “All Pro Dad,” and has worked with a number of organizations like Fellowship of Christian Athletes, Athletes in Action, Mentors of Life, Big Brothers/ Big Sisters, Boys and Girls Clubs, and the Prison Crusade Ministry. In addition, he and his wife Lauren have adopted seven children to round out their family of three biological children. They also established the Dungy Family Foundation that works with Christian organizations, including pregnancy centers and youth ministries. There’s the secret to satisfaction in life. 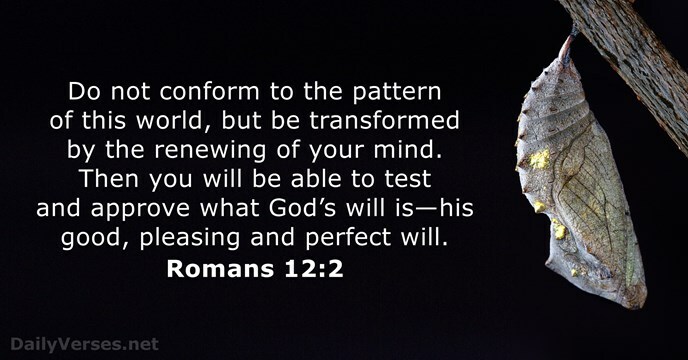 Those who diligently desire to glorify God are the ones fully satisfied in their spirits. Tony would be the first to tell you the positive impact of scripture study in his own life. To highlight its importance, he put a Bible in his Hall of Fame locker, prominently displayed on the top shelf. Tony surrendered his expectations, knowing that God would bring fulfillment to his life, though not always in the ways Tony anticipated. All the while Tony was playing football and coaching, he was learning to be a man of integrity, self-discipline, and courage. Years spent in the public eye has also provided Tony a unique platform for: 1) mentoring players and coaches, 2) speaking at meetings and conferences on such topics as integrity, personal discipline, and overcoming adversity, and 3) writing books, including Quiet Strength and Uncommon–all endeavors of eternal worth. At the onset of each setback in his career, Tony wondered what God was doing. But he knew God could be trusted. Then came the most painful setback of all—the suicide of his son in 2007. Even then Tony did not falter. He allowed the pain to press him closer to his Heavenly Father, and he set about to use the tragedy as a way to honor God and help others. 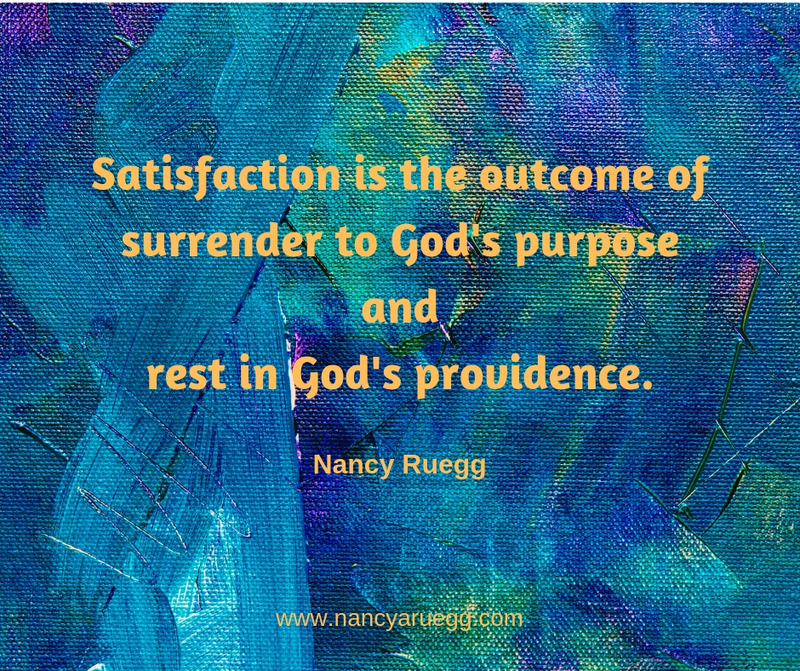 In the final analysis, satisfaction is the outcome of diligent surrender to God’s purpose and diligent rest in God’s providence. 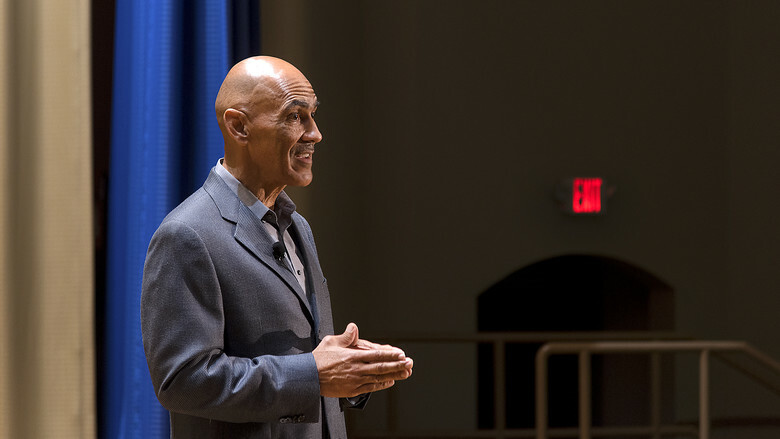 I thank you, Father, for brothers and sisters like Tony Dungy who diligently spend their time and energy in usefulness to you, and all for the praise of your glory. May I, too, diligently follow the narrow path of such uncommon people. Geniuses indeed. But even more important than brilliance was their willingness to exert great effort. 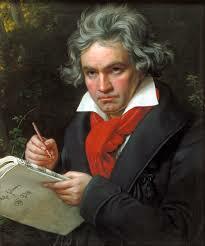 Beethoven rewrote nearly every bar of his compositions at least a dozen times. Michelangelo produced more than 2,000 preparatory sketches for “Last Judgment” alone, a painting considered by many as one of the best artworks of all time. It took eight years to complete. 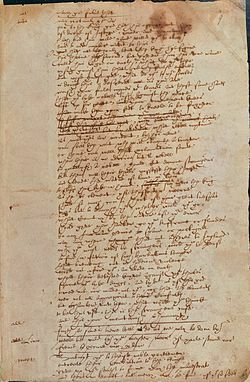 Even Shakespeare must have revised again and again before his words approached the sublime eloquence he is known for. The more we know of such masters, the more we realize: their works required enduring patience, tenacious persistence, and sharp focus. It just so happens that God values those three attributes also. And since he’s working in us to foster all positive traits, we each have the potential to create masterpieces. Of course, works of genius include much more than symphonies, paintings, and plays. Are you part of a ministry, community project, or volunteer organization? Are you a parent, grandparent, mentor, or friend? These are just a few ways you and I contribute to the most valuable masterpieces of all—the people around us. But there is effort involved. 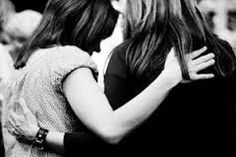 God chooses not to do it alone; he invites us to join with him in the work. So what might be our part in developing those important qualities of patience, persistence, and focus, necessary for developing our genius? The following steps may provide a good start. It is a fact: most worthwhile endeavors take time. Usually lots of it. 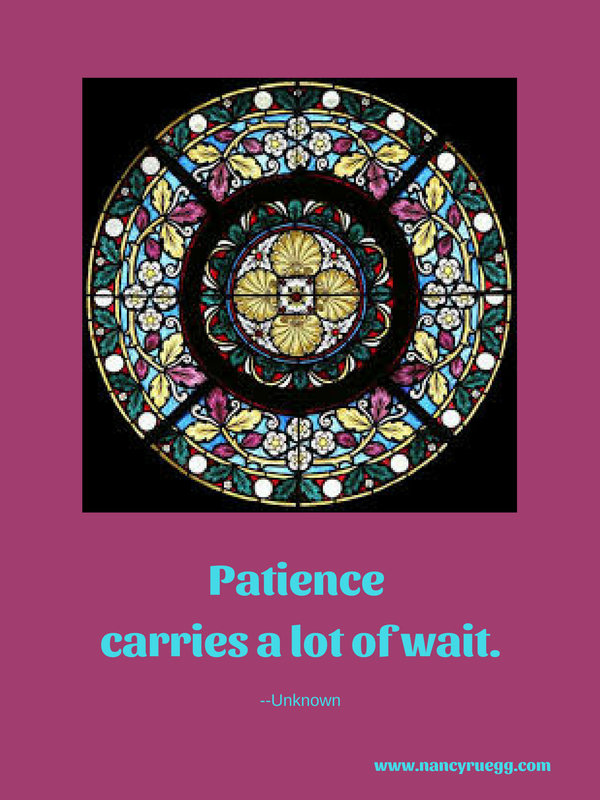 In addition, patience requires stamina to endure delay. 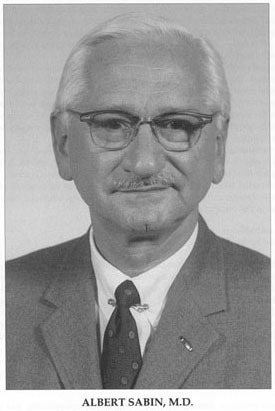 Consider Dr. Albert Sabin, who researched polio and developed the oral vaccine. His mission required thirty-one years of painstaking effort. Step #2: Expect to be stretched by struggle. Oswald Chambers, in My Utmost for His Highest, likens the believer in the hands of God to the bow in the hands of an archer. God stretches us beyond what we think we can bear. And when his purpose is in sight, then he lets fly. Consider Dr. Jason Fader, son of medical missionaries who now serves as a medical missionary himself in Berundi, Africa–after grueling medical training, intense language school, and challenging fund-raising. But in 2017 he was chosen as the first recipient of the Gerson L’Chaim Prize for Outstanding Christian Medical Missionary Service ( Jason’s story). Step #3: Persist—with the application of faith, prayer, and hope. We must be willing to tolerate discomfort, perhaps for an extended period of time. However, the genius-in-the-making under God’s tutelage does not plod along as he perseveres; he plots. He sets his coordinates for the course ahead by faith, prayer, and hope—trusting in God’s promises, asking for God’s guidance, and embracing the possibilities of tomorrow as well as the challenges of today—because in all of it there is good. 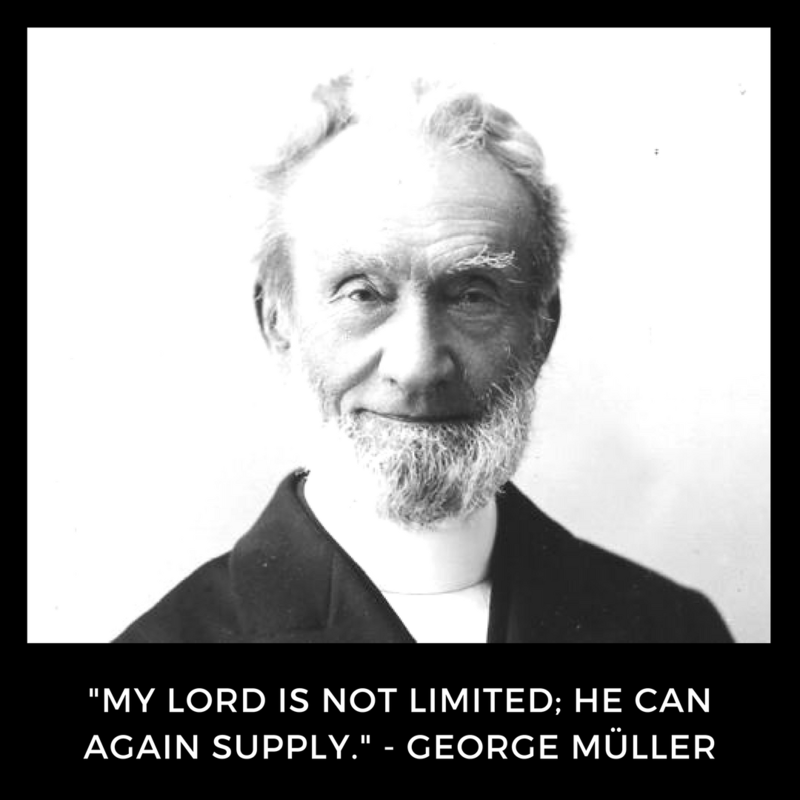 Consider George Muller of Bristol, England, whose five orphanages housed over 2,000 children at any one time. Muller not only wanted to care for these children but demonstrate that God would meet “all their needs as a result of prayer and faith, without any one being asked or approached” (www.mullers.org). His story includes miracle after miracle. Step #4: Remain focused on the task at hand. A genius does not allow distraction or discouragement to sidetrack him. He takes delight in the present moment while: composing one bar of sublime, symphonic fusion, getting the light just right in one small area of the canvas, or choosing specific, rhythmic words for one line of imagery. But even more important for the believer, she is inspired and directed by God himself. His plan may include an exceptional piece of music, art, or writing. Or, perhaps even more importantly, it may include exceptional input into the lives of others–through kindness, encouragement, and integrity. It is God who is the Supreme Genius, masterfully weaving a tapestry of circumstances and relationships among his people. The full beauty of this masterpiece will not be revealed until we all arrive in heaven. Then we’ll see the results of the God-given genius in each of us, our patience, perseverance, and focus, woven into God’s perfect design. And what a celebration will ensue. 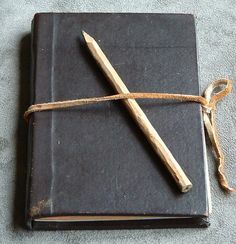 Between the putrid odors and stale air below decks, Francis Asbury chose to spend most of his time on the top deck, often taking his journal and pencils with him. The rolling of the ship caused unsteady handwriting, but recording his thoughts passed the time and focused his heart on what lay ahead. Twenty-six year old Francis had left home in England, September 4,1771, at the invitation of John Wesley, the great Methodist evangelist. 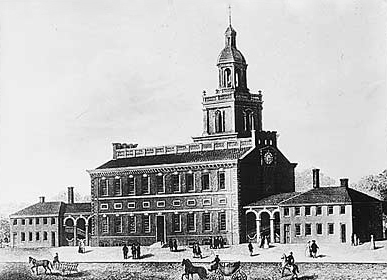 The growing colonies in America needed ministers, and Francis accepted the challenge. Nine years of experience in the pulpit had prepared him for the preaching; what else might be required only God knew. Upon his arrival in America, Francis soon discovered colonial life was drastically different from that of England. Centuries of development and culture in Britain had created a civilized society. America was rough and raw by comparison, although the towns exhibited more refinement than outlying settlements. In 1775, several of his colleagues decided to return to England, as war between the colonies and Britain seemed imminent. But Francis chose to stay, impassioned as always to continue preaching about Jesus no matter the dangers. Other perils included sickness, exposed as he was to inclement weather of all sorts. He preached numerous times with an ulcerated throat and high fever. Sometimes Francis was so weak, men would have to lift him onto his horse and tie him in the saddle. In later years, he resorted to a carriage due to rheumatism. Yet he preached on. “Near midnight we stopped at A.’s…Our supper was tea…I lay along the floor on a few deerskins with the fleas. That night our poor horses got no corn, and next morning had to swim across the Monongahela. “The gnats are almost as troublesome here as the mosquitoes in the lowlands of the seaboard. This country will require much work to make it tolerable” (West Virginia, July 10, 1788). For 45 years Francis traveled throughout the colonies, from Georgia to Maine, and even into Canada. He covered an estimated 300,000 miles, delivered some 16,500 sermons, ordained nearly 700 preachers, and added well over 200,000 members to the Methodist Episcopal Church. Yet even as a bishop he earned only $80 per year, and that he mostly gave away. He also gave away the coats and shirts from his own back to anyone more destitute than himself. 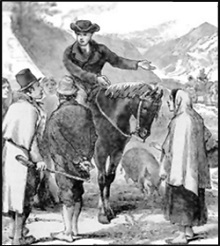 On March 24, 1816, Francis Asbury preached his last sermon. He was seventy years old. A week later, he finally succumbed to yet another bout of illness. The well-known bishop died penniless but “rich in souls” (Dan Graves), a tireless participant in the growth of Christian faith across the colonies that included the building of numerous churches and institutions of learning, impacting future generations to this day. 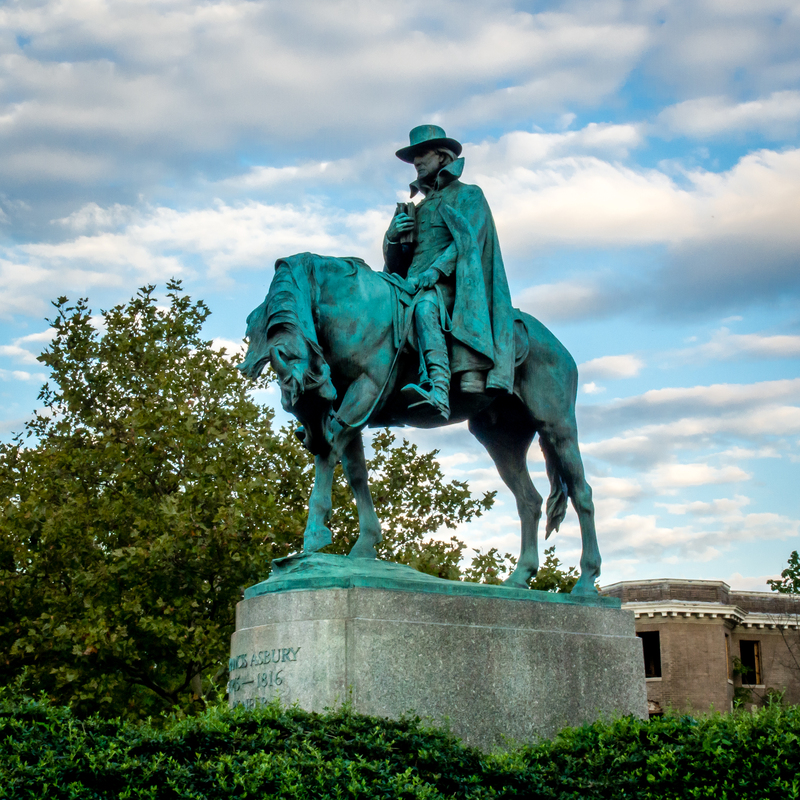 A little more than a century after his death, a statue of Asbury was erected in Washington, D.C. On October 15, 1924, President Calvin Coolidge gave the dedication address at the unveiling. Oh, Lord, guide me to fulfill that same purpose! Keep me mindful that nothing else will provide such satisfaction and contentment as a life lived for you. http://www.christianity.com, “Francis Asbury” by Dan Graves. Seedbed Sower’s Almanac and Seed Catalog, Seedbed Publishing, 2015-2016. 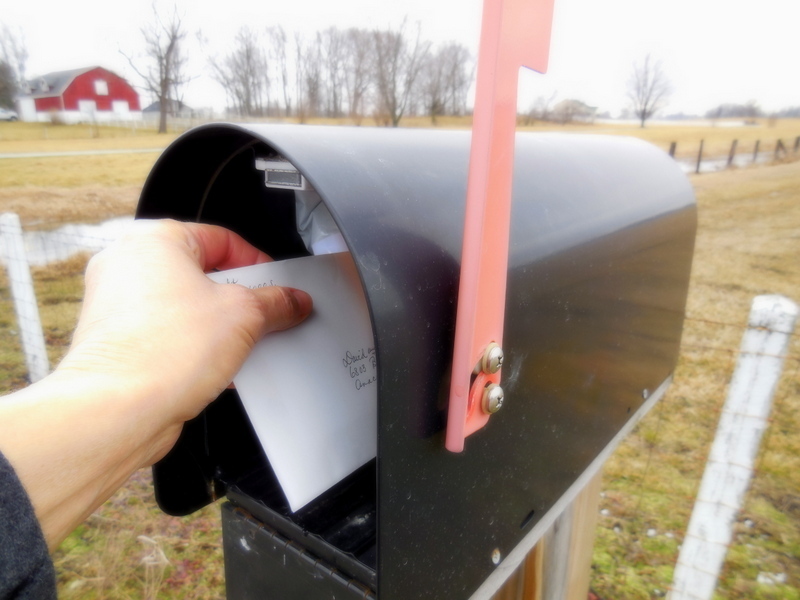 M.’s heart picked up its pace as her eyes took in the return address. Would this letter contain news to celebrate? It was her birthday—her fortieth. What could be more perfect than to receive the announcement she longed to read? M. tore open the envelope. This was not the first rejection letter M. had received. 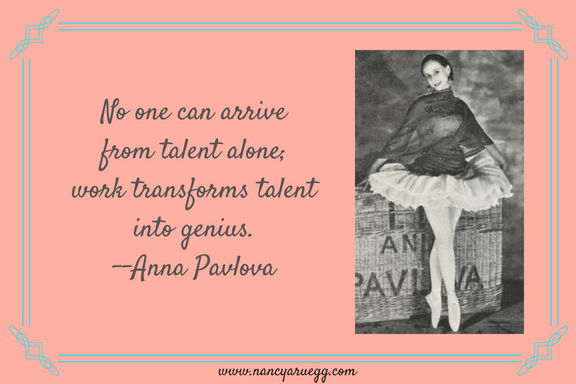 In spite of early triumphs as an author, she had not written a successful book in a decade. This letter, on this day, brought tears to her eyes, and M. considered giving up. M. began work on another book only to have it rejected nearly thirty times. Finally it sold. The book? A Wrinkle in Time, a beloved book of millions. 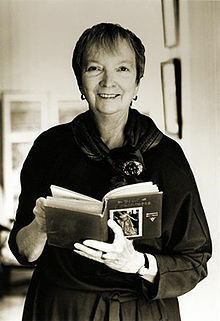 And for it, Madeleine L’Engle was awarded the Newbery Medal for Children’s Literature in 1962 (1). Surely Mrs. L’Engle would be among those to tell us: Failure is a reality of everyone’s life. Even the most successful people have failed at one time or another. But when we’re drowning in the despair of failure, we tend to forget its universality. 1. 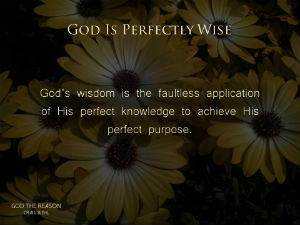 God always makes good use of failure—to develop maturity, wisdom, and humility. 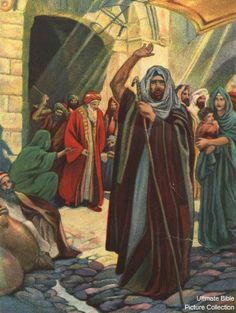 Think of Peter, who denied Jesus three times as his Messiah was being interrogated by the chief priests and Sanhedrin (Matthew 26). 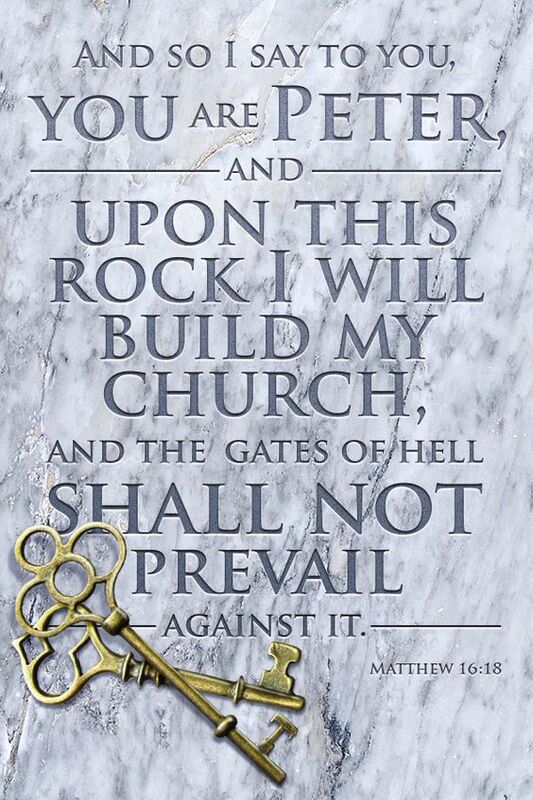 Yet Peter became the rock on which Christ built his church (Matthew 16:18). 2. 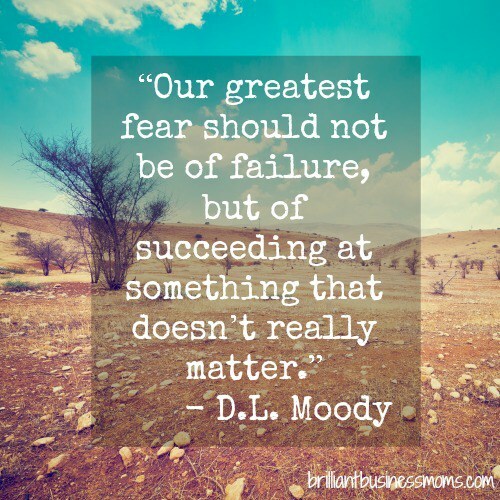 Our failures may well be part of God’s bigger purpose. Even out of the horrific devastation of that war, God did bring blessing. Among them: The Red Cross was founded, a number of hospitals were established, and in the decades that followed, America rose from the ashes stronger than ever. 3, The lack of results does not necessarily indicate failure. ‘Ever hear of Edward Kimball? I hadn’t—until recently. Edward once introduced a young shoe salesman to Jesus. That salesman grew in faith by leaps and bounds, and strongly desired that others know the One who changed his life so dramatically. 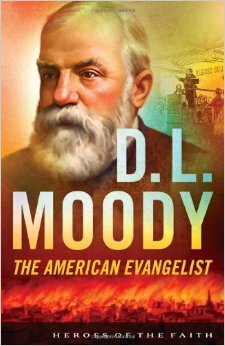 The salsman’s name: Dwight L. Moody—evangelist extraordinaire and founder of Moody Bible Institute. By comparison to Moody’s stellar accomplishments and resulting fame within the Christian community, Mr. Kimball seems a nobody. But the ripple effect that still reaches around the world today through Moody (2) can be traced back to Kimball. 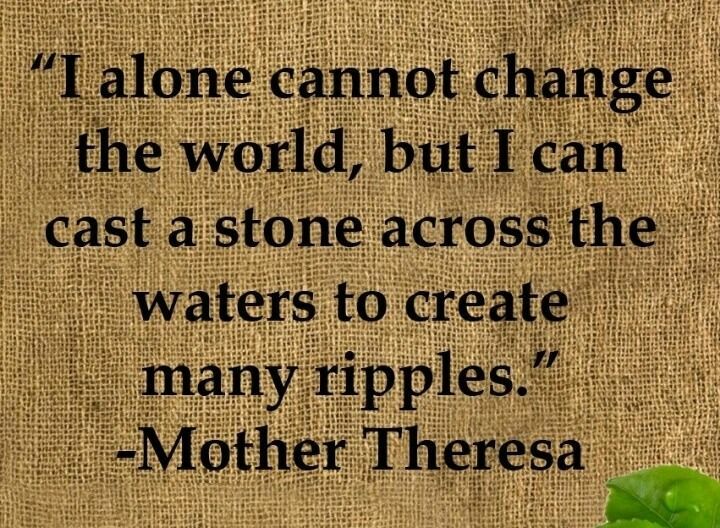 Most of us will never know the ripple effect emanating from our lives until we reach heaven. It’s probably just as well. What we don’t know can’t go to our heads. 4. True success is not financial security, great respect from throngs of people, or high rank in the public arena. “True success is growing intimacy with God” (3). My eyes are often distracted by the wrong prize. Oh, God, help me to embrace failure and the blessed lessons it brings! (1) Information about Madeleine L’Engle from http://www.neh.gov. (2) Thousands of graduates from Moody Bible Institute have served God as pastors, missionaries, and more over the 130 years since its founding in 1886. Millions more have been impacted by Moody Radio and Moody Publishing. (3) J. I. Packer, Knowing God, 1973, p. 314. Art & photo credits: www.savannahnow.com; http://www.wikipedia.org; http://www.pinterest.com; http://www.azquotes.com; http://www.likesuccess.com; http://www.quotesgram.com. 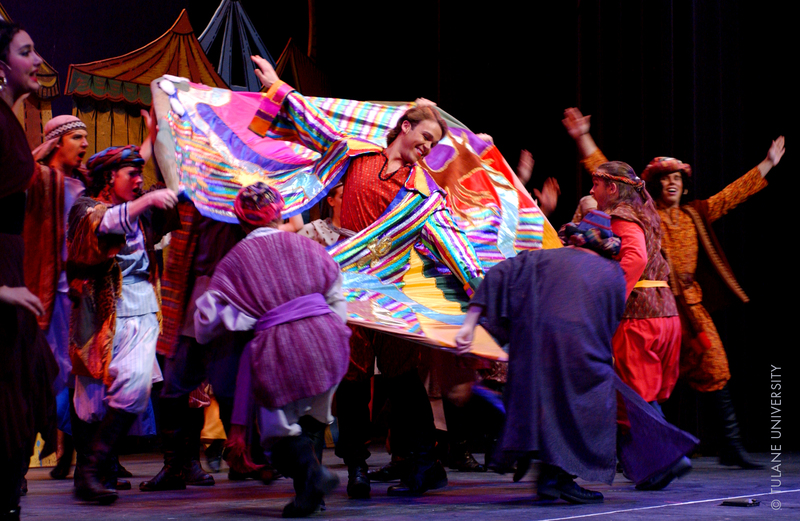 We’ve all heard the story of Joseph (or seen the musical, Joseph and the Amazing Technicolor Dream Coat). You’ll remember he’s the one who endured years of slavery and prison before his dreams (of bowing wheat sheaves and stars paying homage) came true. We also know about Moses, an adopted prince in Pharaoh’s household who ended up in the wilderness herding sheep. Forty years later God called him to lead the Hebrews out of Egypt. 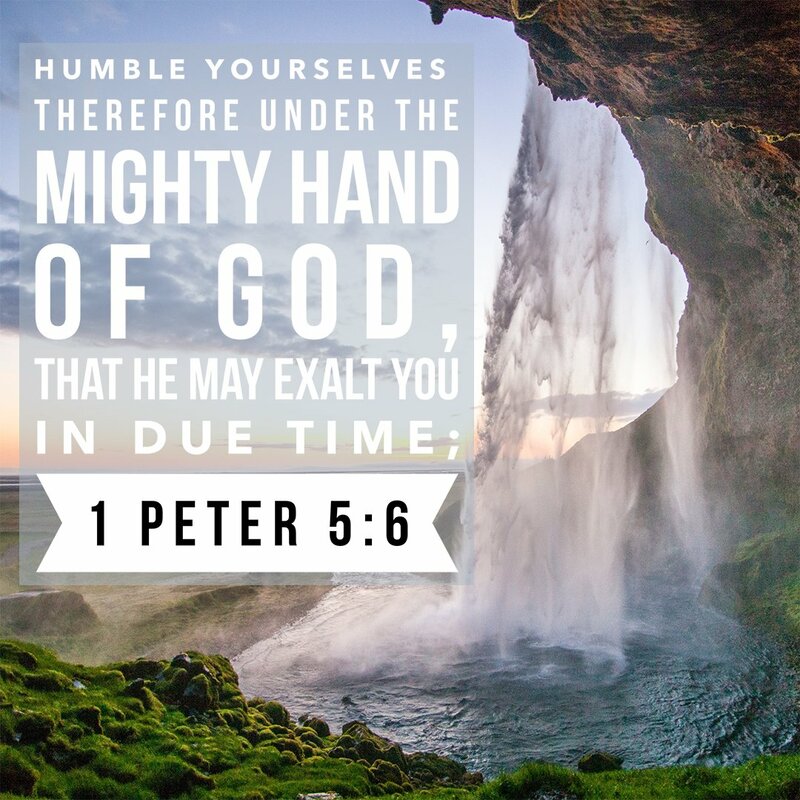 And we’re familiar with Paul who spent years traveling from place to place and, yes, suffering all kinds of trials—beatings, imprisonment, dangers, shipwrecks—all for the privilege of serving God, introducing people to Jesus and establishing churches. 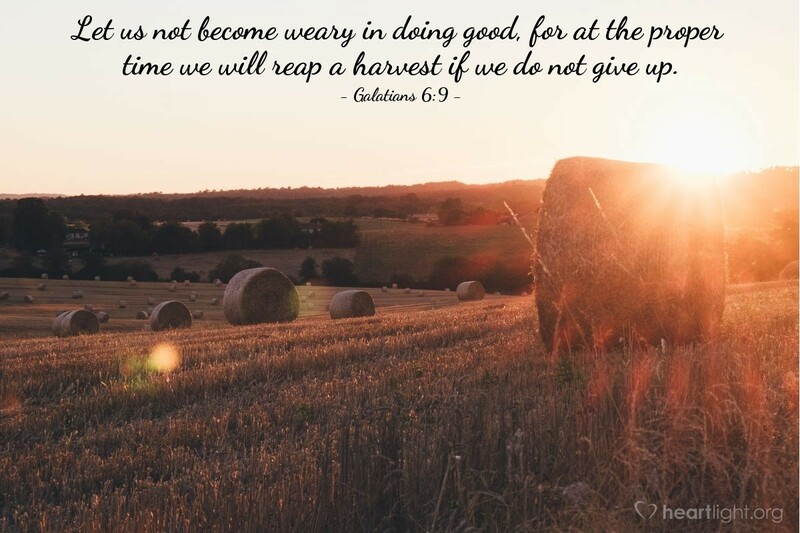 These Biblical stories and others teach us to never give up, because we never know when God will show up to turn a prisoner into a prime minister, a shepherd into a great leader, or a Pharisee tentmaker into a world evangelist. Then there’s Jeremiah. His is a different kind of story altogether. He was called by God to warn the inhabitants of Judah that destruction would come if they did not return to God and follow his ways. It was not a one-time message. Over a period of forty years Jeremiah spoke many times of coming doom. 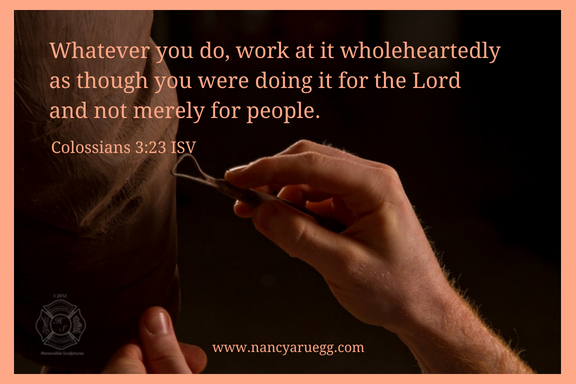 We love the stories of Joseph, Moses, Paul, and others, whose perseverance was rewarded with success. But what about Jeremiah? He, too, persevered through trials–poverty and deprivation, imprisonment and ill-treatment, rejection and ridicule. For what? According to the evidence (minimal results for his efforts), Jeremiah was a wretched failure. Yet he had obeyed God faithfully, endured patiently, and preached courageously. Perhaps visible evidence is not the best way to quantify success. 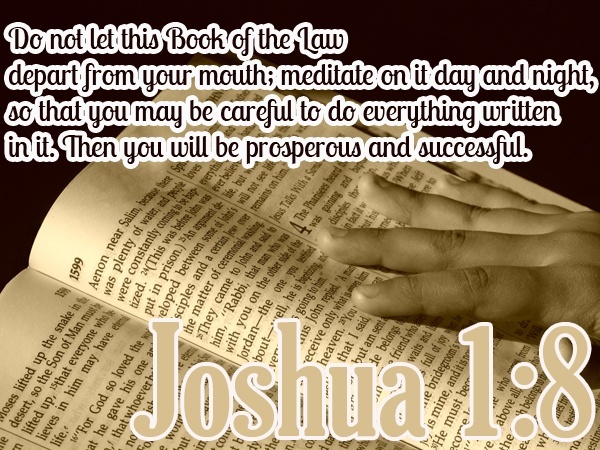 Instead, the true measure of success involves our characters, not our acquisitions (Joshua 1:8). The true measure of success may include the tenacity to get up every day and face the same tasks as yesterday, to persistently make choices that further God’s objectives for each of us, and to remain steadfast even when discouraged (1 Corinthians 15:58). Last, a true measure of success is how our choices honor God (1 Kings 2:3). Jeremiah may not have turned thousands back to Yahweh, but that was not due to his lack of effort or disobedience to God. 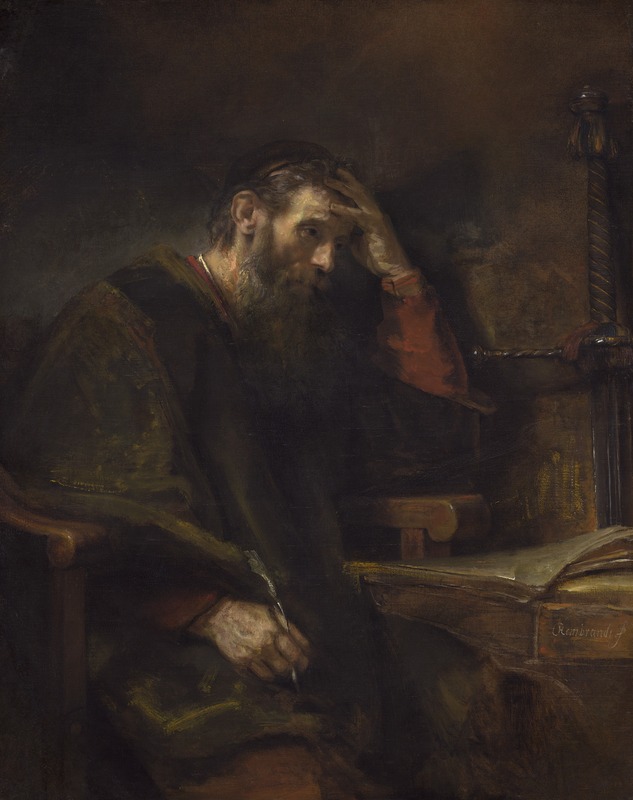 Jeremiah doggedly preached to the people of Judah—month after month, year after year. So the true measure of success includes: 1) pursuing godly character, 2) persevering toward God-given purpose, and 3) making choices that honor him. The parent who has put his career on hold to invest time in his young children. the business owner who drives a twelve-year old car so he can give generously to ministries. For those of us looking for that kind of success, Jeremiah is our hero. Do our prayerful best and leave the results with God. Press on–day by day, month by month, year by year if necessary. 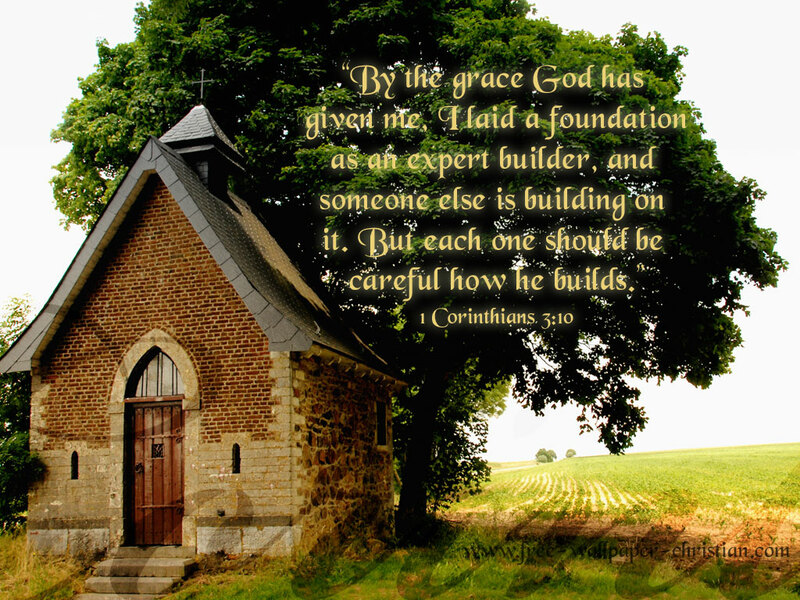 Allow such perseverance to build our trust in God and strengthen our character. *Oswald Chambers, My Utmost for His Highest, p. 129. My knowledge of boat parts is limited, but this much I know: throw an outboard motor in the water; it will sink. Throw a propeller in the water; it, too, will plunge to the bottom. So will seats, cleats, and other parts. But when they are assembled together on a strong hull, the boat floats. Similarly, our lives are comprised of a variety of experiences: some heavy and hurtful, others light and joyful. When properly assembled as a whole, they create a life that floats, and one that’s headed on a course toward worthwhile purpose. Proper assembly of negative as well as positive events requires the trait of resiliency—the ability to press on through setbacks again and again. Do those words, press on, sound familiar? The great missionary-adventurer, Paul, said he pressed on toward the goal of becoming what God intended for him (Philippians 4:12-14). Paul is a worthy case-study for resiliency. rejected by many, even after brilliantly preaching about God and his Son, Jesus (Acts 17:16-34). 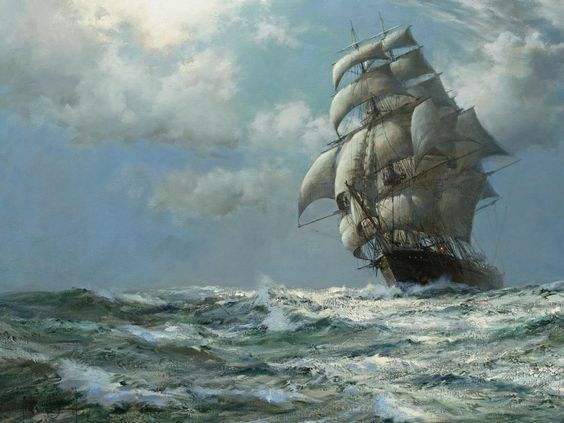 No one sails through life problem-free. Accept the reality that troubles will come, then apply those strategies that provide relief, strategies such as: exercise and proper nutrition, sufficient sleep, laughter, and meaningful activity, including acts of kindness each day. Be watchful for God’s blessings in spite of the circumstances, and thank him for his loving attention. Gratitude does indeed transform attitudes. Find fresh strength in God’s Word, especially in his promises and assurance of his faithfulness to keep those promises (Romans 15:4; Psalm 145:13; 1 Corinthians 1:9). We can ask God to help us set new, worthwhile goals, then look forward to the day when those goals will be met. Researchers have noted that resilient people do not strive for riches, fame, power, or recognition. Instead they are focused on their legacies—what contributions their lives will make to those around them. Hope in God—in all circumstances—is in itself an invaluable legacy. Get in community with other Christians—not just by being present, but by actively participating. 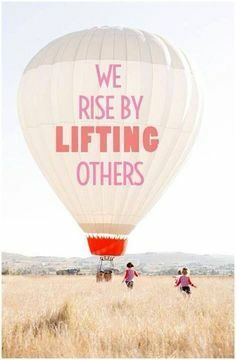 In addition, when we contribute hope to others through listening and encouragement, we find our own outlook much improved. 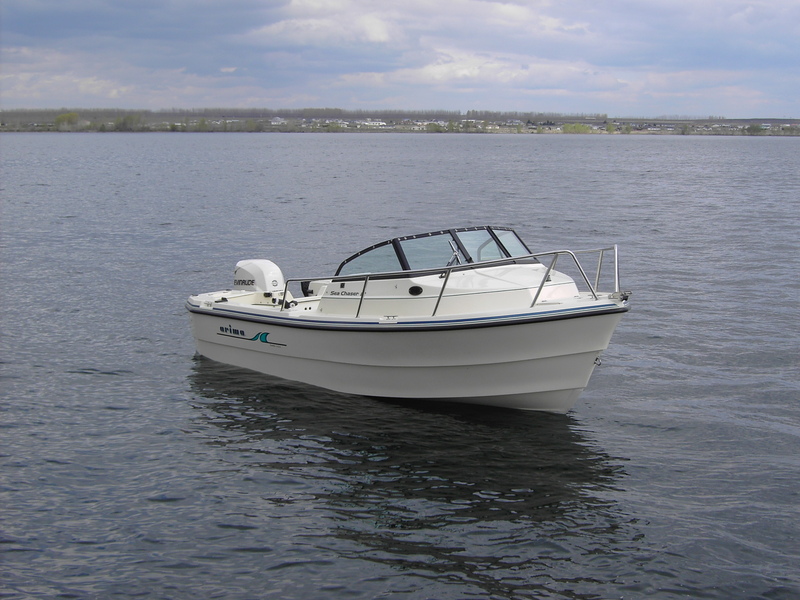 A boat that floats is not built by just lining up the various parts in the boatyard. It requires the hands and expertise of a master boat builder, to craft a skiff of beauty, function, and purpose. A satisfying, meaningful life cannot be achieved by mere acceptance of the various events in our lives. It requires the hands and expertise of the Master. He takes all of it—the delightful and the demoralizing—to craft a life of beauty, function, and purpose. (The boat metaphor idea came from Ralph W. Sockman, author of The Higher Happiness (1950). 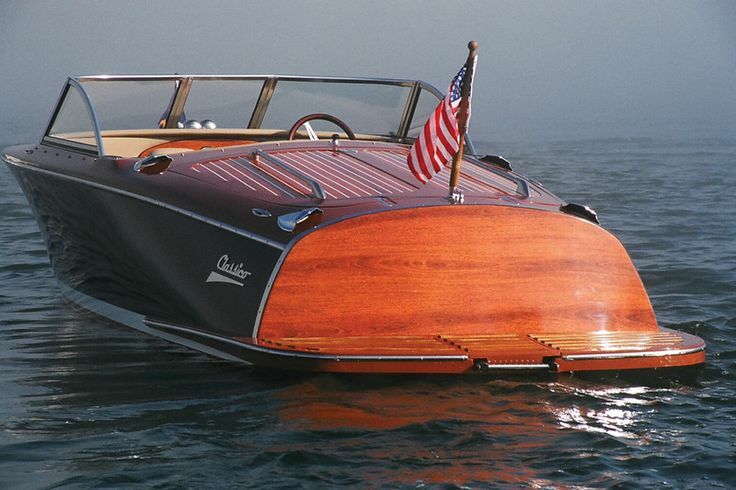 Art & photo credits: www.inland-boats.com; http://www.slideplayer.com; http://www.wikipedia.org; http://www.pinterest.com (3). His record sounds like a tall tale. But that’s not all. This giant of Christianity also wrote dozens of books. This is no tall tale; it’s the life of John Wesley (1703-1791). 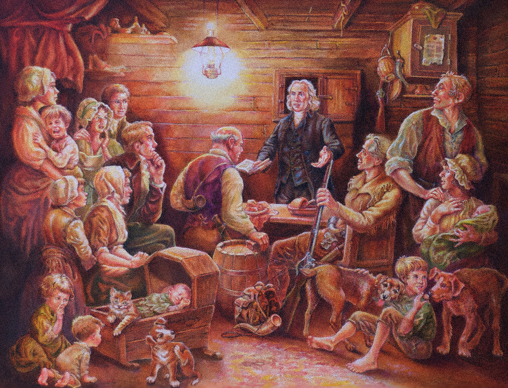 Even into old age, John Wesley proclaimed the good news about Jesus and his gift of eternal life. At age 83, he was still writing books, but very disappointed that after fifteen hours at his desk, his eyes would start to hurt. 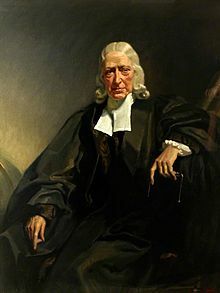 At age 86, Wesley could still preach a rousing sermon, but sadly (to him) he only had stamina for two per day, not three as had been his standard for many years. It also frustrated Wesley that he needed more rest as he aged. No longer did he wake up ready to seize the day at 4:00 a.m. In his latter years he had to sleep until 5:30. The evidence seems clear: John Wesley lived every day of his life with purpose and passion—even into old age. And undoubtedly he received great satisfaction and fulfillment from his choice to remain active and useful. Others of us explore new paths during our retirement years. 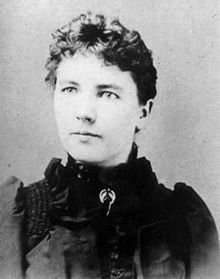 Laura Ingalls Wilder didn’t begin her best-selling “Little House on the Prairie” series until age 64. The last book, These Happy Golden Years, she completed at age 76. Wesley’s and Wilder’s examples (and those of countless others) prove: It is possible to accomplish worthwhile endeavors even as we age. If you’re young, you can look forward to new possibilities of successful, purposeful living for decades to come. If you’re older as I am, we still can enjoy successful, purposeful living. 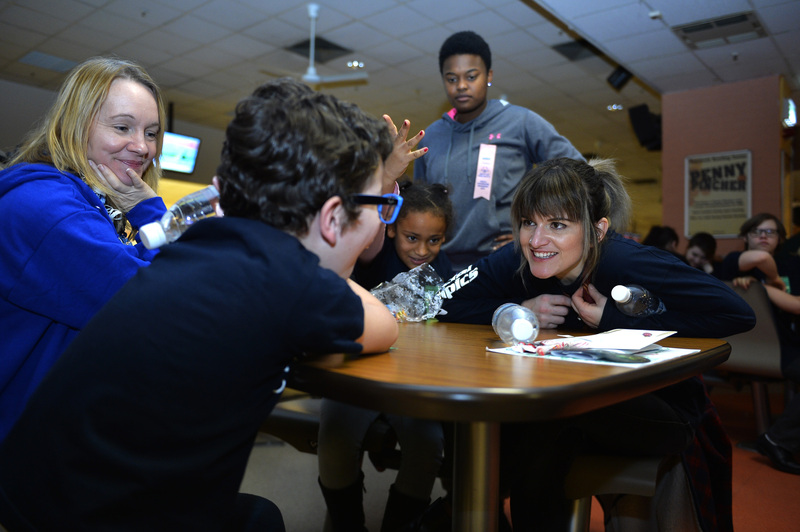 Our influence on those around us offers opportunity for the most significant contribution. Thank You, Father, that each chapter of my life has included purpose and blessing. Keep me mindful that my purpose includes living a legacy of influence. May love, faith, and integrity be the guiding principles for all my remaining days!